During springtime in the arboretum, flowers of all sizes and colors burst forth as the sunlight and the rains perform their annual life-giving dance. Bulbs, herbs, and ground plants catch the season’s early sunlight to produce their flowers and seeds. Spring breezes gently kiss the early flowering trees and shrubs with the promise of fruit through autumn. 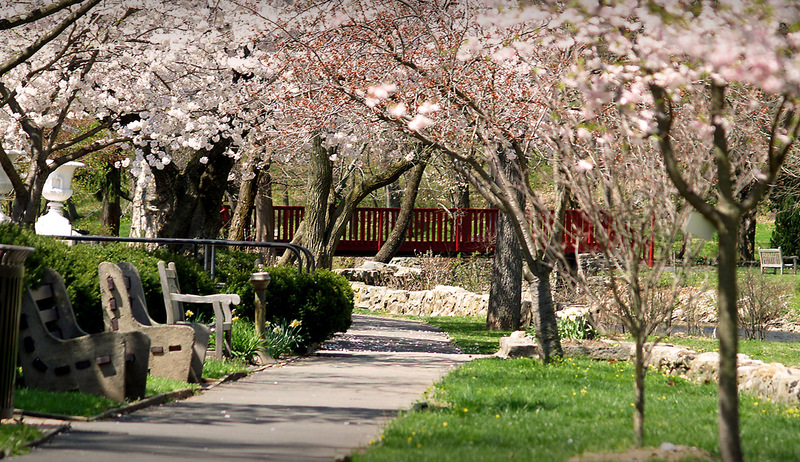 The Reading Public Museum hosts an impressive arboretum that covers 25 acres of lushly appointed and carefully maintained natural beauty. An accredited station for the United States Bureau of Plant Industry, many of the 65 distinctive specimens in the park today are from the original planting in the late 1920s. Large, exotic trees are interspersed with indigenous trees and shrubs, providing fresh air and cooling shade during the summer. 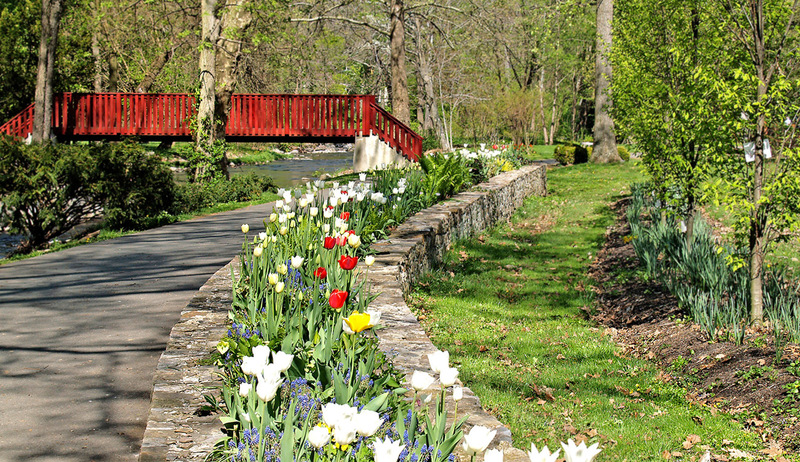 The Wyomissing Creek, which flows through the arboretum and park, provides a peaceful, mesmerizing ambiance for leisurely walks along the many pathways. Its cheerful bubbling also aids silent contemplation on foot bridges that span the creek. One of the many highlights of the arboretum is the opportunity to learn about nature. Free, self-guided tour maps of the arboretum are available in The Museum Atrium. Remember, to ensure that future generations can enjoy the RPM arboretum, take only photos and leave nothing but footprints during your visit! Each year, the number of projects at The Museum Arboretum increases as does the need for additional volunteers. Please help us craft and maintain this gorgeous community resource! We promise you’ll be richly rewarded in experience, knowledge, and friendship! Explore The Arboretum at your own pace with a free guide available in The Museum Atrium. Better yet, save a tree by viewing the map on your smartphone! Guided tours for preschool, K-12, college, extracurricular groups, adults, seniors, and special-needs groups are available all year long. 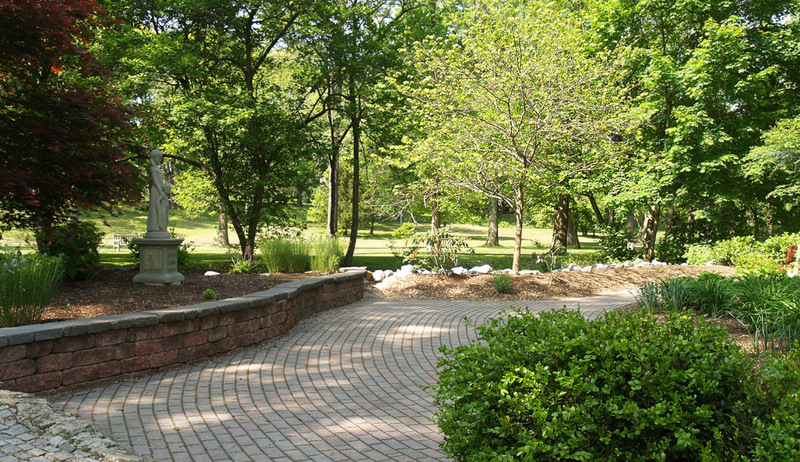 We can arrange a customized visit to The Arboretum that your group will never forget!